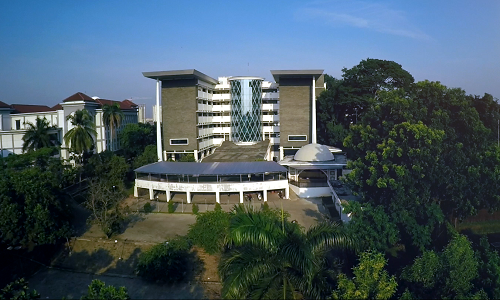 Rectorate, UIN NEWS Onlineâ€”Even though the traffic on Jl. Ir. 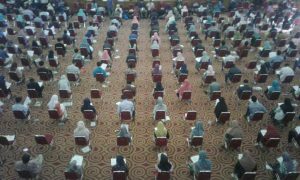 H. Juanda Ciputat, South Â Tangerang was jammed, the implementation of UIN Jakarta Local Recruitment exam on the first day, Saturday-Sunday (6/10-11) was orderly, smooth, and safe. With such traffic condition made some participants being late to arrive at the test location. Nevertheless, the committee gives dispensation to those who are late to work on the test sheets, without extra time. “Becauseit is the first day; we give them time to work on their test. But still there is no extra time, “said Deputy Responsible Officer (WPJL) at Harun Nasution Auditorium Drs Nanang Syaikhu, to UIN NEWS Online team at Harun Nasution Auditorium Examination Post. 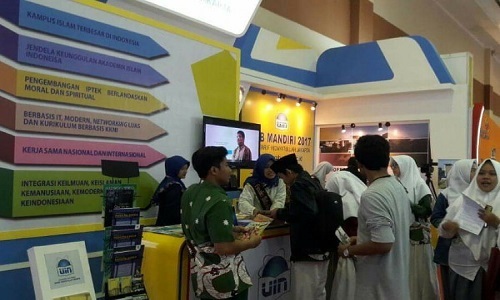 “However, in general the implementation of Mandiri UIN Jakarta 2017 exam is smoothly, orderly and safe,” added Nanang. From the monitoring of UIN NEWS Online, since at 05.00 WIB thousands of SPMB Mandiri participants in 2017 flocked to the location of the test spot. Not only the test participants, the test locations which available on Campus I, II, and III are crowded with packers and guardians (parents). We found a number of participants who are late, there are also participants who are confused and lost. This is because he has not conducted a survey location as suggested by the committee of SPMB Mandiri UIN Jakarta. Separately, Head of Documentation and Publication Sub Section Feni Arifiani MH said, at this time SPMB jockey practice or leakage matter is not found. To prevent that, the committee has minimized the opportunity since the beginning of the preparation. â€œAlhamdulillah SPMB Mandiri 2017 went well. This is because the entire academic community of UIN Jakarta is directly involved, and had been briefed clearly by the leader,” said Feni in his office on Sunday (11/06).